Happy New Year! No, not last month's new year. I’m talking about Lunar New Year, which falls on the day of the first new moon (Feb. 5 this year) and is celebrated in places with lots of Chinese people. That’s mainland China, Taiwan, Singapore, Vietnam… and Seattle. Local events take place Jan. 26–Feb. 9; read on for details on each one. For more tips on exploring Setatle's International District, check out our Secrets to the International District From a Chinese Mom. The first Chinese people arrived in Seattle just about the same time as the city’s founding in the mid-1800s. In the 2010 census count, Asians made up 14 percent of Seattle’s population, including some 30,835 Chinese Americans. Lunar New Year is the biggest event of the year in many Asian countries, bigger than Thanksgiving, Christmas and Easter combined. 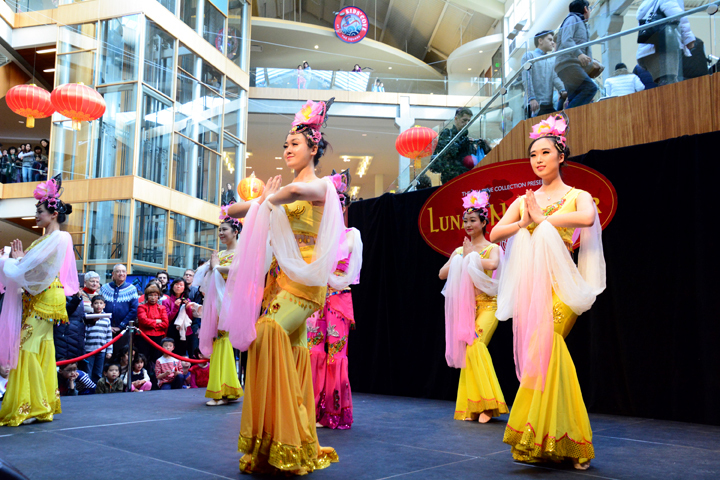 Based on sheer numbers, Seattle offers an impressive pick of Lunar New Year events. The zodiac animals cycle through every dozen years, and 2019 stars the pig. They say that people born in the Year of the Pig are self-reliant, easygoing, sociable, steady, hard-working, courageous, unselfish, and boundlessly sympathetic. (You can take that list of personality traits with a grain of salt; it’s about as reliable as your astrological sign.) Pigs you might know include Elton John, Michael Jackson, Mariah Carey, and Elon Musk. Whether you’re Chinese or if you just like food and people, celebrate the Year of the Pig at one of these Seattle-area events. Find the festival that's right for your family and have a happy new year! When: Saturday, Feb. 2, 11 a.m.–2 p.m.
With the Seattle Asian Art Museum closed for renovation, the new year party moves downtown. Seattle Art Museum hosts a free Lunar New Year Family Festival featuring fun activities for families, including live music, martial arts demos, themed art activities and more! The museum will be passing out tickets for free admission to the galleries as well, so save a little time to view the collections on display. The exhibit In This Present Moment closes in June. When: Saturday, Feb. 2, 10 a.m.–5 p.m., and Sunday, Feb. 9, 11 a.m.–4 p.m. Here's the scene: The streets are packed with families and lots of kids are wearing traditional clothes. Lion dancers prance through the neighborhood, performing at each storefront until the shopkeeper hands over a red envelope stuffed with cash. Pop, pop, pop! Long strings of firecrackers light up, babies wail and the air fills with smoke. Lunar New Year in Seattle's International District is the place for food and culture (and some nostalgia). The spectacle is the most similar to how we celebrated New Year’s in Taiwan when I was a kid. The funny thing is, in my experience, no one in Taiwan follows these traditions anymore. But for immigrants and their American-born children, Lunar New Year is an opportunity to showcase their cultural heritage. Get a taste of that authenticity starting on Saturday, Feb. 2, with a free lion dance performance at 10 a.m. outside The Wing Luke Museum. Warning: The drums and firecrackers will be very loud to scare away any bad luck, so bring headphones for little ones or keep your distance. After the performance, inside the museum, you’ll find pig-themed crafts, a zodiac stuffed "pet" animal zoo, a scavenger hunt, face painting, story time and games for kids. Museum admission is free for children and students, adults are $15–$17. Or enter the coloring contest (download a copy here) for free kids’ admission and half-price admission for accompanying adults. 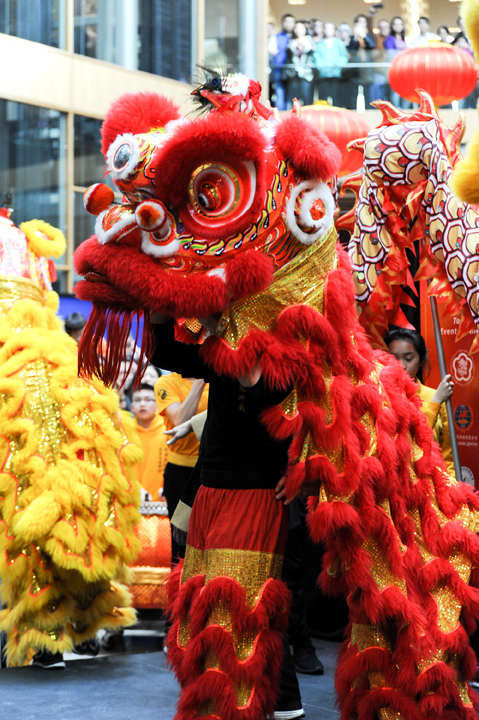 The following weekend, on Sunday, Feb. 9, the whole International District celebrates the new year in a day-long festival with dragon and lion dances, martial arts performances and a children’s costume parade. Find the full schedule here. “We are hoping people will come to the neighborhood to experience culture and food and they will leave having had a positive experience. And hopefully, they will patronize these businesses again,” says Monisha Singh, events and programs manager for the Chinatown-International District Business Improvement Area. Tips and caveats: Because much of the fun is outside, you are at the mercy of the weather; and traffic is tough. If you arrive in the morning, try parking in the Uwajimaya garage (a $20 purchase at Uwajimaya buys you two hours of validated parking). Later in the day, take the bus, streetcar or light rail to the ID. And expect big crowds. You can put your kid on your shoulders, but it can be difficult to see performances. Where to nosh: Many restaurants feature special menus, usually some variation on dumplings, long noodles, whole fish — all foods considered lucky. For quick bites, try the $3 food walk on Sunday. Check out ParentMap's guide to the ID for more recommendations. When: Saturday, Feb. 9, 11 a.m.–6 p.m.
To find one of the best Lunar New Year celebrations in Seattle, look no further than… Bellevue. With its large Asian population (Bellevue is estimated to be 34 percent Asian), it makes marketing sense for The Bellevue Collection to host a huge free Lunar New Year bash. “It’s just a good way to bring customers into the center, and for them to feel we appreciate the things they celebrate,” says Cecily Gray, former digital communications and public relations coordinator at The Bellevue Collection. Main selling points: There are 10,000 free parking spots. It’s all indoors, so weather is not a factor. The event is extremely well-organized. And dumpling powerhouse Din Tai Fung will offer free samples! The Bellevue Collection partners with several Taiwanese organizations to put on an impressive performance schedule. The festivities are held in Bellevue Square’s Center Court, with programming running nonstop. There’s music, dancing, calligraphy, martial arts demos and lion dances. This venue is extra friendly for little kids because no one’s setting off firecrackers (inside the mall, obviously) and the Center Court is so cavernous that the drumming is somewhat diffused. Tips: There’s no bad seat in the house, because you can get a good view of the show from balconies along the upper two levels. When your kids need a break, head to the free play area on the third floor. Outside J. Crew, tables are set up with an array of craft activities. You can make a firecracker, a lantern, a Chinese “spring” ornament and more. For school-age kids who love arts and crafts, you can easily spend an hour here. Where to nosh: Din Tai Fung, located conveniently in Lincoln Square, is famous for its pork soup dumplings, and we also love their fish dumplings, shrimp shui mai and for dessert, the red bean dumplings. Don’t bother ordering greens or rice — that’s just wasting space in your stomach. A block north of Bellevue Square is the best Taiwanese food in the region, Facing East. Try the pork burgers, featuring fatty slices of pork belly with crumbled peanut, cilantro and pickled mustard greens. It’s heaven sandwiched in a fluffy white bun. When: Saturday–Sunday, Jan. 26–27, 11 a.m.–7 p.m.
Seattle Center's series of festivals, called Festál, showcases the cultural roots and traditions of various local communities. This weekend, the Tet Festival celebrates the Lunar New Year traditions of Seattle-area people with roots in Vietnam. Everyone is welcome to experience the music, dance and food of this festive celebration. When: Saturday, Feb. 2, 1–4 p.m.
Everyone is welcome at this community celebration that includes lion dances, martial arts demos, music and interactive fun for kids. This annual Lunar New Year celebration organized by the Asia Pacific Cultural Center includes more than 90 booths, plus live entertainment, food and drink, cultural arts, games and crafts. This year’s event highlights the country and culture of Korea. Will Monkeyshines happen this year? Tacoma knows how to have fun with guerilla art. If you don't live in Tacoma or haven't heard about Monkeyshines, read up and you might just be tempted to wake up early and get in on the hunt. 1. "Bringing in the New Year" by Grace Lin: Bright colors and simple text highlight the most important traditions around New Year. 2. "This Next New Year" by Janet Wong: A young boy celebrates the Lunar New Year with all his neighbors and friends. The book is cross-culturally inclusive and its message is universal: Everyone has dreams and hopes for a fresh start. 3. "A New Year’s Reunion" by Li-Qiong Yu: The book is set in China, where some parents have to leave their children to work in cities. This story has more words than the other two, and a twinge of sadness that you might have to explain to your child.